Preschool Open Gyms will start back up after Labor Day. Tuesdays from 1-3pm and Fridays from 11-1pm. 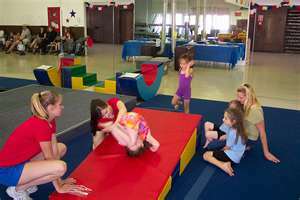 Open gyms are for ages 18 months to 6 years old, parents are required to stay and Birthday parties are not allowed. Cost is $7.00 for members and $10.0 for non-members. We will have punch cards available.